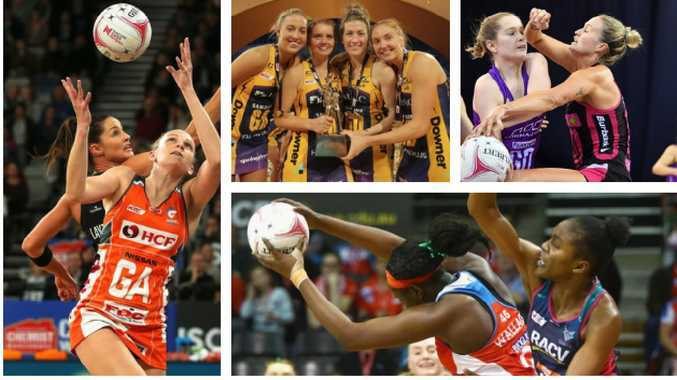 What we know about Super Netball 2019. IT starts in April, finishes in October and will break for four weeks so top players can compete in the netball World Cup. Full squads are now locked down, internationals signed and we know there are a few players set to make their debuts in the world class competition. 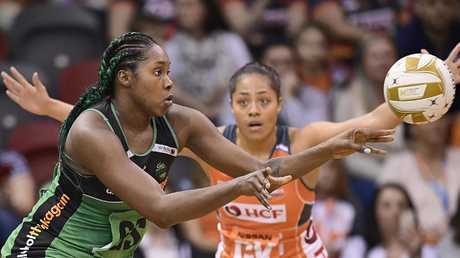 Here's what we know about Super Netball 2019 so far. The third year of the competition will start on April 27. It will break after June 23 for four weeks to allow top players to return to their countries to prepare for World Cup in Liverpool which will be played from July 12-21. The Super Netball competition will then resume on July 27. Geva Mentor battles Giants shooter Kristina Brice in last year’s preliminary final. The semi-finals will be played on August 31 and September 1. The preliminary final will be played on September 8. The season decider has been slated for September 15. After much speculation, New Zealand shooter Maria Folau finally announced she would be in the colours of the Thunderbirds next season. 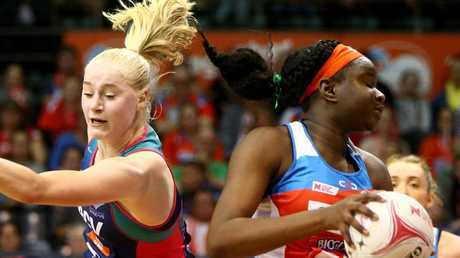 She is one of numerous internationals in a team rebuilding after two disappointing seasons of Super Netball. 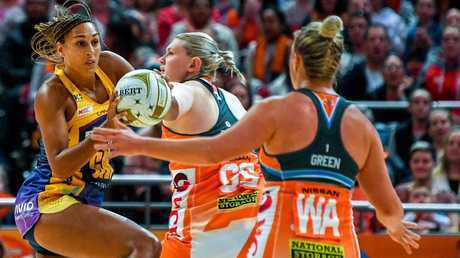 Australian netballers will make up 74 per cent of the players in the third season of Super Netball. This means 59 locals will be in the competition alongside 21 internationals. This is just three more overseas players than in the 2018 competition. Sam Wallace was one of the top imports in 2018. 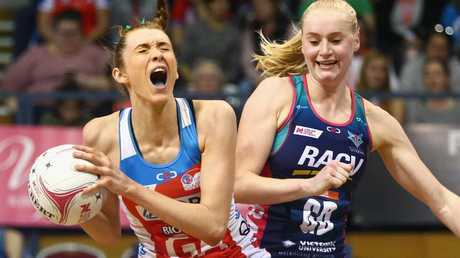 There will be eight players from England in Super Netball 2019. Jamaica will field the next most with five players followed by South Africa with three, New Zealand with two and Malawi, Uganda and Trinidad with one each. This means there is at least one international in every team in the 2019 competition. Jhaniele Fowler finished the season as the top shooter and will likely own the title again in 2019. Only 33 positions were available for new or re-signed players in 2020. The majority of players - 79 per cent - stayed put at the clubs they played with in 2018 while six training partners were promoted to the squads of clubs. Helen Housby, Kate Eddy, Lauren Moore, Maddy Turner, Madeleine Proud, Natalie Haythorn, Paige Hadley, Samantha Wallace, Sarah Klau, Sophie Garbin. April Brandley, Ash Brazill, Gabrielle Sinclair, Geva Mentor, Kelsey Browne, Kim Ravaillion, Madi Robinson, Matilda Garrett, Natalie Medhurst, Shimona Nelson. Helen Housby and Jo Weston challenge for the ball in 2018. Caitlyn Nevins, Gabi Simpson, Gretel Tippett, Jemma Mi Mi, Kim Jenner, Laura Clemesha, Mahalia Cassidy, Romelda Aiken, Tara Hinchliffe, Tippah Dwan. Annika Lee-Jones, Cara Koenen, Jacqueline Russell, Karla Pretorius, Laura Langman, Laura Scherian, Madeline McAuliffe, Peace Proscovia, Phumza Maweni, Stephanie Wood. 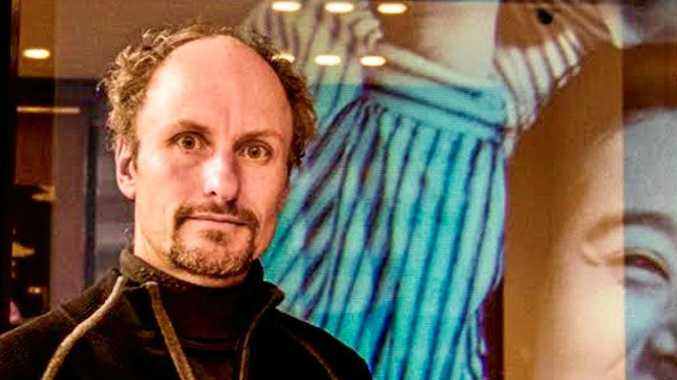 Caitlin Thwaites, Liz Watson, Emily Mannix, Ine-Mari Venter, Jo Weston, Kadie-Ann Dehaney, Kate Moloney, Mwai Kumwenda, Renae Ingles, Tegan Philip, Temporary replacement *Tayla Honey for Mwai Kumwenda. 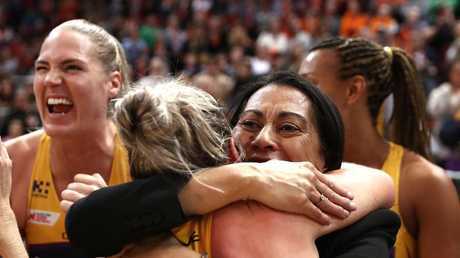 Noeline Taurua is back as Lightning coach but her captain has moved to Sydney. Alice Teague-Neeld, Courtney Bruce, Ingrid Colyer, Jessica Anstiss, Jhaniele Fowler, Kaylia Stanton. Olivia Lewis, Shannon Eagland, Stacey Francis, Verity Charles. Beth Cobden, Chelsea Pitman, Cody Lange, Hannah Petty, Kate Shimmin, Kelly Altmann, Layla Guscoth, Maria Folau, Sasha Glasgow, Shamera Sterling.